In a large bowl mix the onions with salt, add the vinegar and the olive oil. Mix well. Set aside. The onions will soften. Cook the potatoes (whole, don’t cut them). Cut the potatoes in pieces while they are still hot. Add to the bowl and mix well. Set aside to cool. 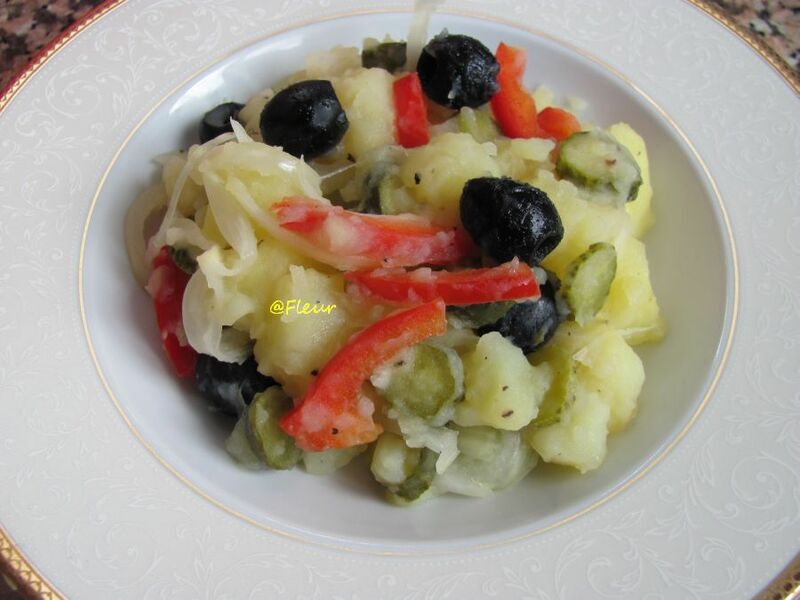 Before serving add the bell ​​peppers, olives, gherkins and pepper to taste. Variation: You can add some tomatoes. Creat de: fleur laWednesday September 25th, 2013.la09:18 AM.